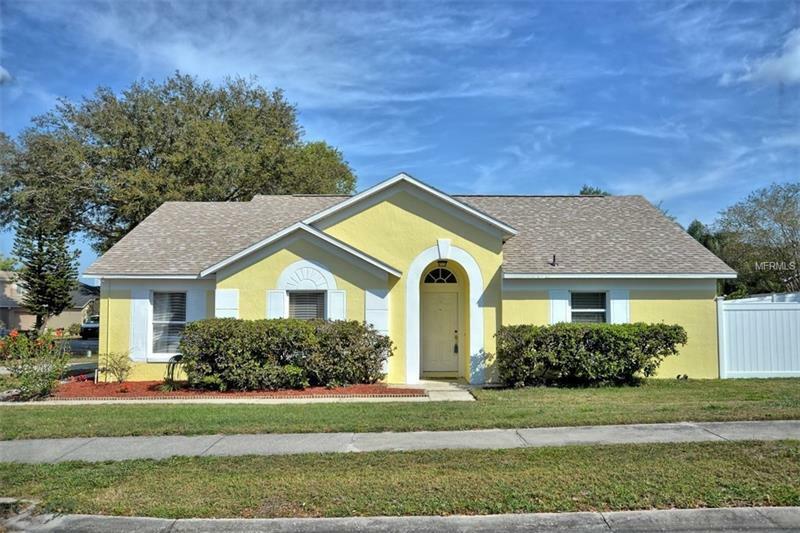 Located in the heart of Oviedo just minutes away from Oviedo on the Park- this 3 bedroom, 2 bath home located in the Dunhill community is certainly a rare find in our community. Located on a beautifully landscaped, corner lot, this home has superior curb appeal. As you enter the home you will immediately be WOWED by the fabulous UPDATED kitchen. Featuring large kitchen sink, new stainless steel appliances, impressive stone countertops and kitchen island- this kitchen will certainly be a modern day chef's dream. The kitchen overlooks the family room, making this space perfect for families and get togethers. Home features a NEW ROOF, NEW INSULATED GARAGE DOOR, NEWER HOT WATER HEATER, NEWER A/C and has been REPLUMBED! The Master bedroom is spacious and features a private bath with walk-in closet. Want space to bar-b-que? Be sure to check out the large, fenced back yard that would be perfect for a young child playset or in ground pool in the future. Dunhill is close to UCF, major shopping, restaurants, A-rated schools and much much more. Featuring a community pool and tennis courts- this is a great community for young families, investors or empty-nesters.